Very unique! 2 earings in one! Always get compliments. Bought them as a wedding present for a cousin living in the UK -- happy to bring her a piece made by a Canadian designer. These look great on. They are dainty but have an edge. Can’t get enough of them! I bought them for my granddaughter and she loves them. I think she will wear them to her graduation in June. 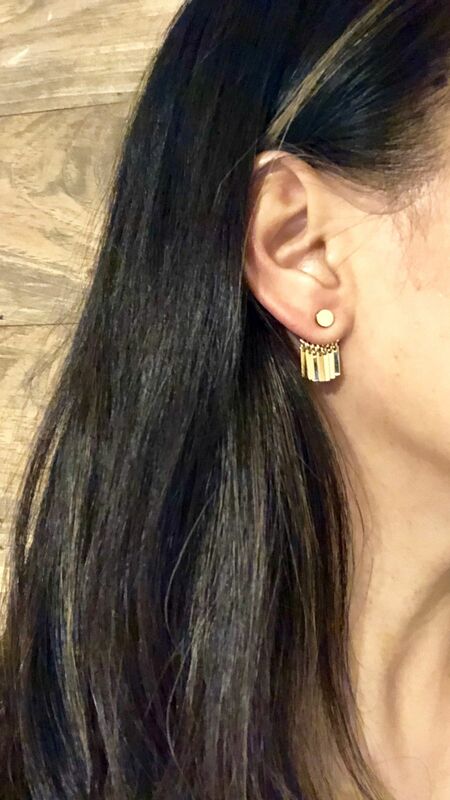 These quickly have become my go-to earrings. They're high-quantity, super versatile and transition from day to night flawlessly. And, so many compliments! A little cumbersome to put on but definitely worth it.